Almost 20 years ago, our first foray into chatting was facilitated by the likes of ICQ, IAM, Yahoo Messenger, MSN Messenger. Starting in 1997, these guys were the messengers that everyone was using. Late to the party, ten years following the messenger boom, the United States finally understood the possibilities of SMS, as they watched SMS usage pass 10 billion messages per year in 2006. We were now using messaging on our phones, but with a system that was developed in the mid 1980s. As a consequence, all of the previous messaging platforms slowly became extinct (some withstanding others) as we moved to your cellphone but didn’t yet have cheap data plans to constantly use the Internet. By 2012, messaging was again becoming interesting as mobile data rates came down in price. Beginning in Asia, with Wechat and LINE, we saw chat messengers gaining huge adoption. 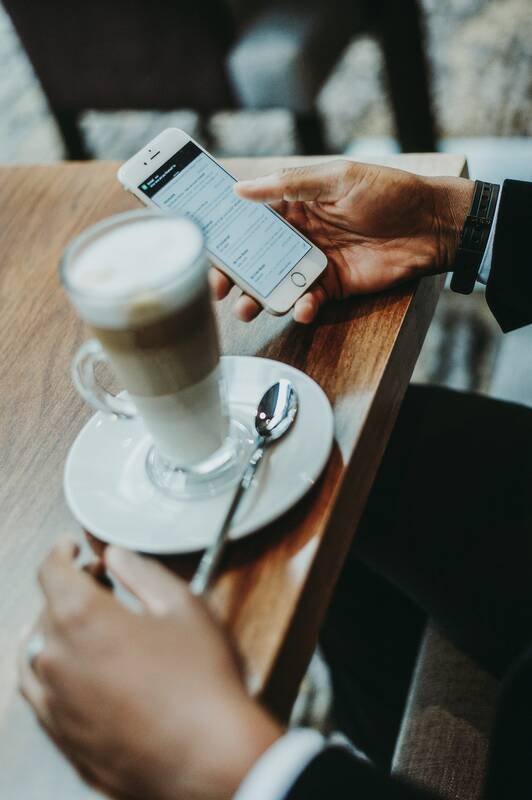 While SMS’ pricing hadn’t changed, data charges dropped and higher 3G and LTE speeds allowed everyone to use Internet-based chat messengers on their phones. Today, in 2017, we have a veritable smorgasboard of messengers to choose from. Some are more popular than others in specific regions and some are popular with different types of users. At Zoom.ai, we want to help you work better. That’s why we believe in supporting our enterprise customers’ existing environment with whatever software they have chosen. Not to mention that their typical employees under 30 will have more than one messenger open at all times while working regardless if they are approved by corporate IT. Thus we are constantly adding additional messaging platforms so that our users can communicate with their Zoom.ai automated assistant in their favourite messenger. 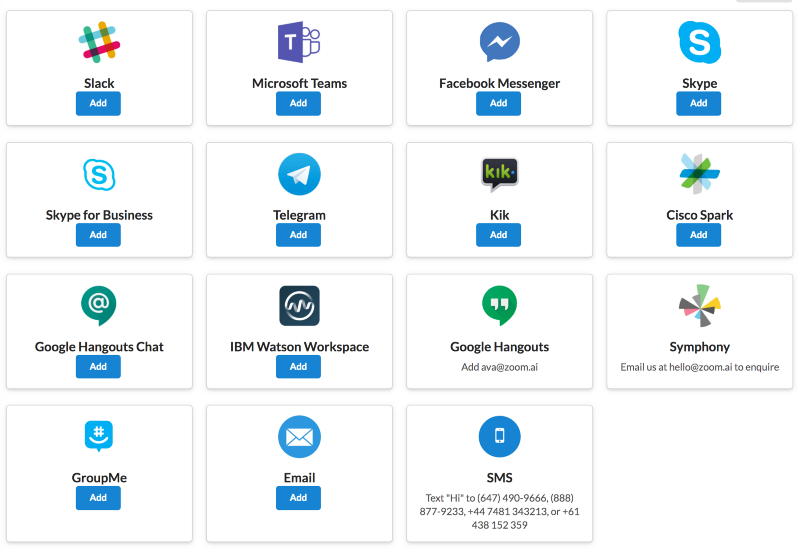 Recently we announced support for four additional messenger platforms; Skype of Business, Google Hangouts Chat, IBM Workspace, and GroupMe. Check out all the platforms we support below; see if you can find your favourite platform here, to try out Zoom.ai’s automated assistant. We know that 15 chat platforms sounds like a lot but I’m sure we will be adding more soon!